Love playing retro 80s arcade games? 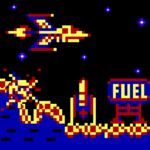 A free addictive space shooter with easy controls & retro 80s arcade gameplay! 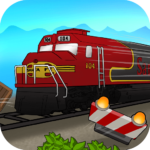 Drive famous locos in this free train game; great gameplay & realistic sounds! Chrawfish Interactive is an internet-based, arcade mobile game development company, based in Melbourne, Australia. Started in 2016 by programmer Cameron Sheppard. “Chrawfish” is a nod to Cam’s 1997-2002 handheld games development company Crawfish Interactive. You are allowed (and encouraged!) to put footage of my games on YouTube or any other website. 15/12/18: Loco Run (Android) released on Google Play! 27/1/18: Watch out for Loco Run (an arcade train game) out soon! Android then iOS.